This one snuck up on us. 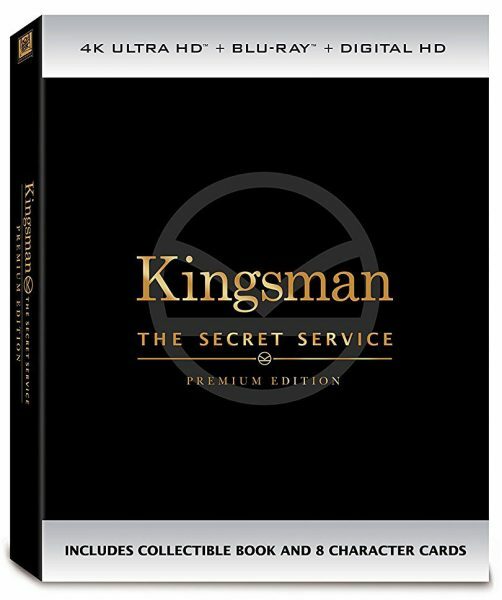 20th Century Fox has released Kingsman: The Secret Service Premium Edition on 4k Blu-ray with a new collectible book and 8 character cards. The slipcover is also quite nice for the edition in a somewhat discreet design (similar to the Blu-ray Premium Edition). On Ultra HD Blu-ray, Kingsman: The Secret Service is formatted with High Efficiency Video Coding (HEVC) at 2160p with High Dynamic Range (HDR) color enhancements. The soundtrack is offered in English 24-bit DTS-HD Master Audio 7.1, as well as Spanish in Dolby Digital 5.1, and French, German and Italian in DTS 5.1. Extras include “Kingman: The Secret Service Revealed – Panel-To-Screen: The education of a 21st Century Super Spy” and image galleries, as well as digital copy redeemable with multiple services. Kingsman: The Secret Service Premium on Ultra HD Blu-ray is moderately priced $29.99 (List: $39.99) at Amazon and Best Buy (see current Amazon pricing below).